While Noctua originates from PC cooling technology, the outstanding quiet cooling efficiency and superior reliability of our premium grade fans and heatsinks is equally beneficial for various applications outside the realm of PC cooling: The same virtues that have established Noctua products as an elite choice among demanding PC enthusiasts also make them ideal for a wide range of industrial applications. 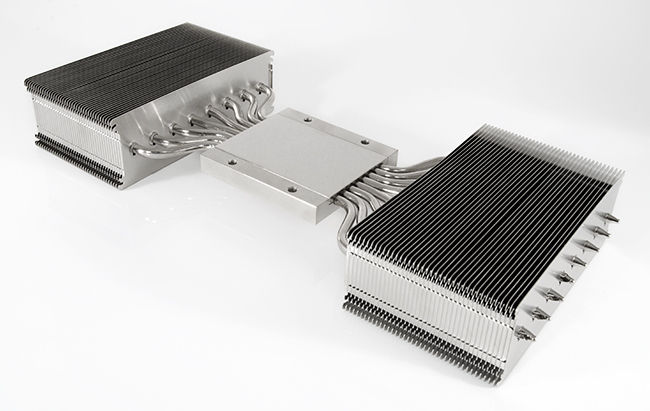 For example, our fans and heatsinks are being used in fields as diverse as solar engineering, LED cooling, storage solutions, household appliances or highly critical domains such as laboratory devices or medical technology. 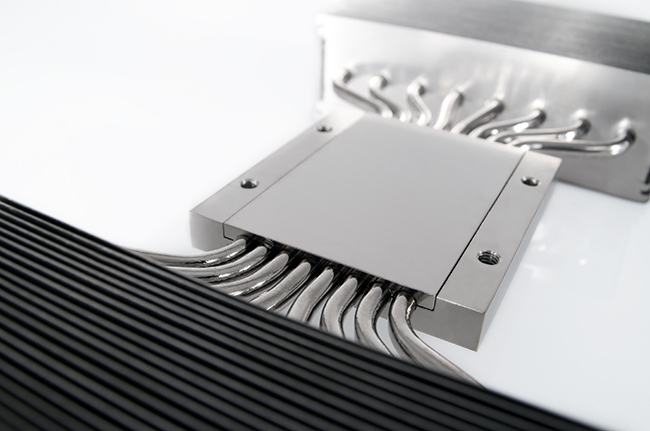 No matter whether it’s in surgery equipment or servers that run important software, Noctua’s thermal solutions have proven that they’re up to the task when it comes to industrial applications that require excellent quiet cooling performance, class-leading energy efficiency and uncompromising dependability..
Do you require a more capable heatsink for your project? Could your upcoming product benefit from running quieter and using less power thanks to more efficient fans? Please feel free to contact our industrial sales team at sales@noctua.at, we’ll be glad to assist. 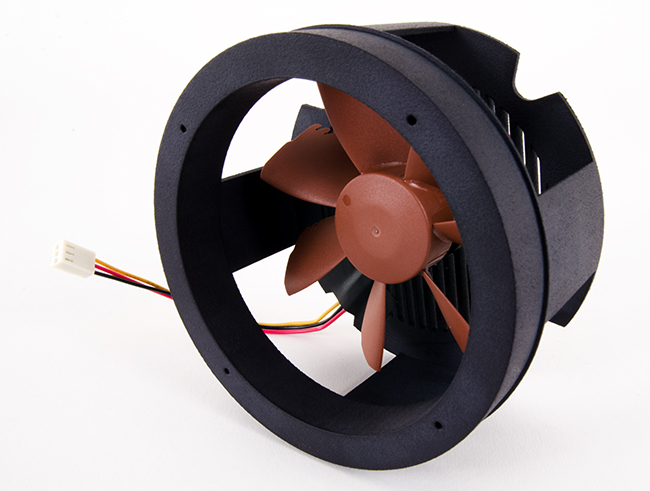 In addition to our standard line-up of premium quality quiet fans, which have become proven choices for various industrial applications that demand exceptional quietness of operation, we have established our industrialPPC line of fans for heavy duty applications that require extended cooling performance and superior ingress protection. Our industrialPPC fans feature a ruggedised, fibre-glass reinforced polyamide construction, water and dust protection up to standard IP67 as well as a novel three-phase motor for unprecedented energy efficiency. Do you need assistance in thermal design? 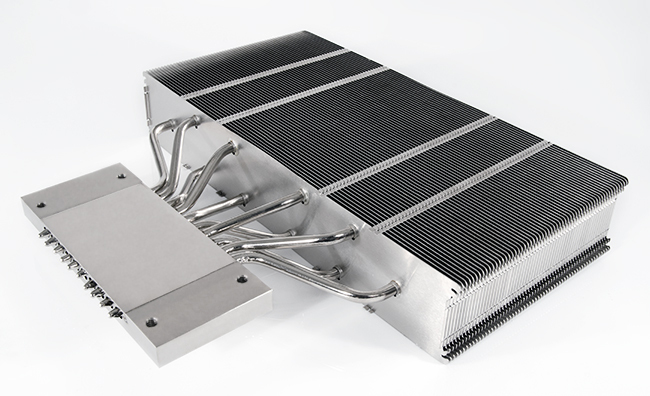 We not only provide state-of-the-art fan and heatsink technology but can also offer assistance in how to make the most of our products in your individual application. With years and years of experience in developing excellent thermal solutions for a wide range of applications, we’ll be glad to assist you with in-depth analysis and suggestions in all matters of thermal design. Let us take care of the thermals so that you can focus on other aspects of your product! 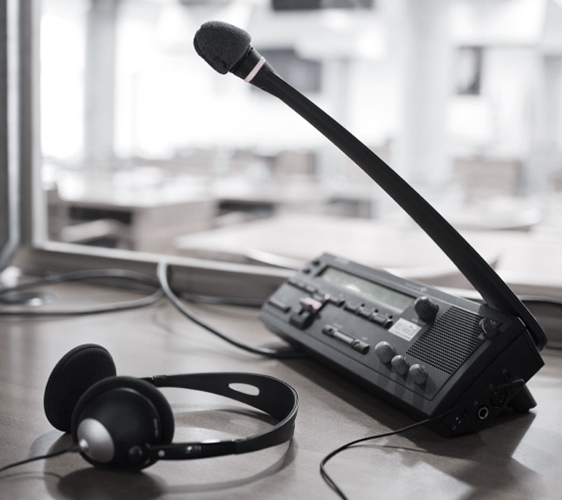 For our industry clients, we can provide custom designs that are tailored to specific applications. 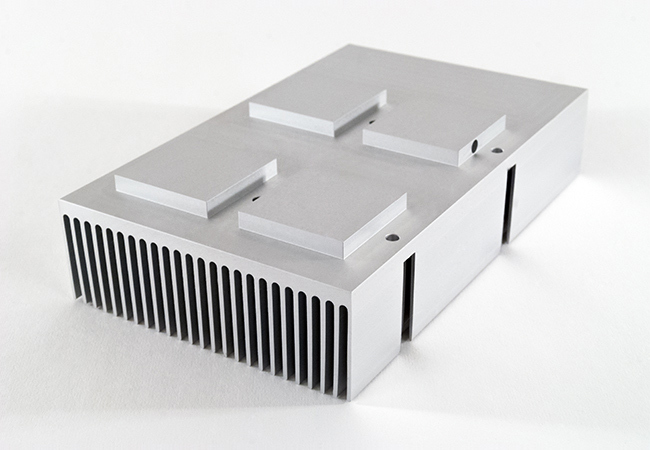 Whether it’s a custom fan housing, custom heatsink fin shape or a cooler to be designed entirely from scratch, our experienced R&D team will work with you to find the best possible solution for your project. We can assist you all the way from initial 3D CAD construction over rapid prototyping (SLA, SLS, FDM, PolyJet) and performance evaluation to production. 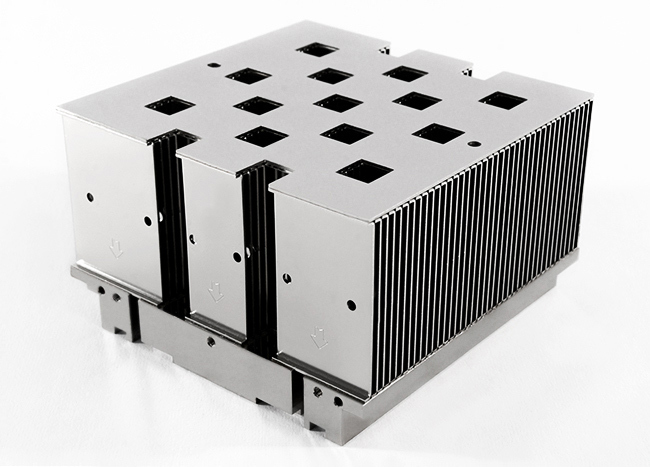 For a client who produces stage lightning equipment, we have designed a custom base and mounting system for our popular NH-D14 heatsink that allows to mount the cooler directly to the 200W LED module of a high performance stage spotlight. Thanks to the NH-D14’s superior quiet cooling performance, the spotlight now runs quieter than competing products, which means less distraction for the audience and lightning crew. Greenwalls are seen by many as a key means to assure clean, fresh indoor air in regions ridden by pollution and smog. In order to assure sufficient ventilation and airflow through the roots of the plants, which is crucial to the air purifying effect, greenwalls rely on fans. 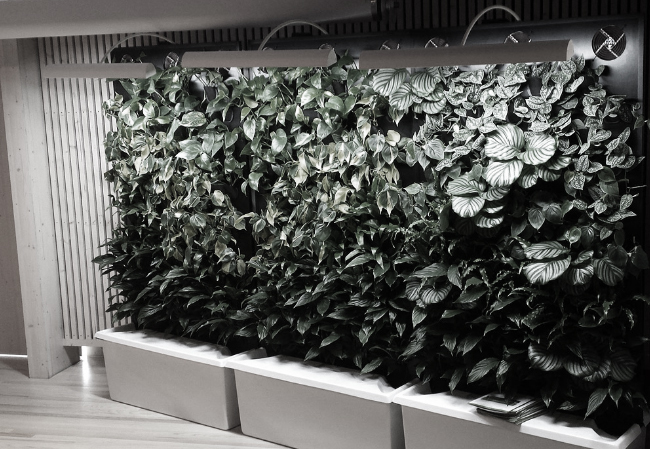 By choosing our NF-A14 for this task, one of our clients succeeded in developing a greenwall system that sets new benchmarks in terms of energy efficiency and low noise operation, making his product especially useful for quiet home and office environments. 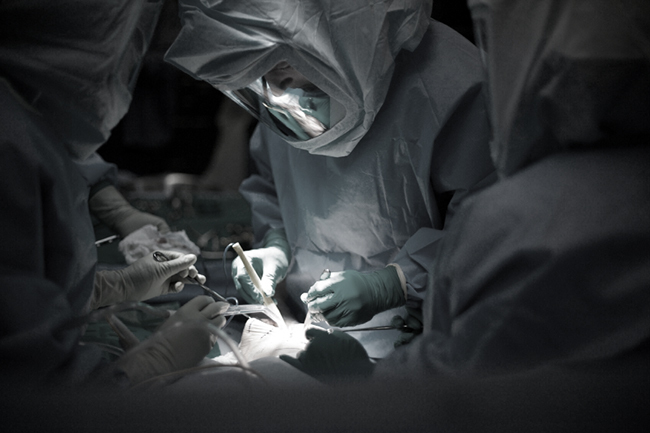 For certain types of surgery, surgeons wear special helmets that provide various features and protection. Keeping the interior of the helmet well ventilated without much noise is vital for the surgeon to keep concentrated and focused. 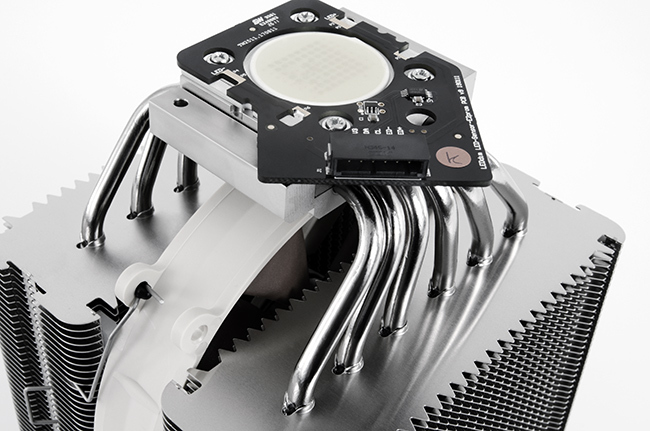 By switching out the original 80mm fan for a Noctua NF-R8, our client has achieved 15% better ventilation at 20% lower noise levels, thus allowing the surgeon to perform his task in a more comfortable, less distracting environment. Solar cars often require fans for cooling their batteries and electronics yet need to use as little energy as possible in order to increase mileage. 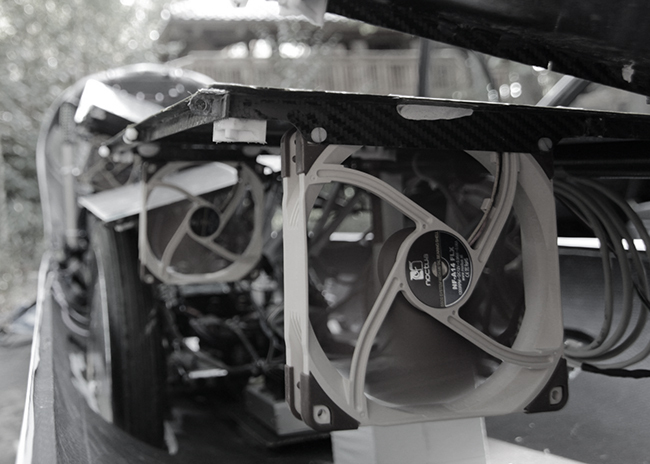 By integrating our NF-F12 and NF-A4x10 fans, which consume only 0.6W of power, a designer of solar cars managed to reduce the amount of energy required for cooling by almost 20%, which in return allowed him to boost the range of his unit. Thermal cyclers are laboratory devices which are used to amplify DNA sequences by polymerase chain reaction (PCR). In order to be able to raise and lower the inside temperature as quickly and precisely as required, thermal cyclers require highly capable cooling. 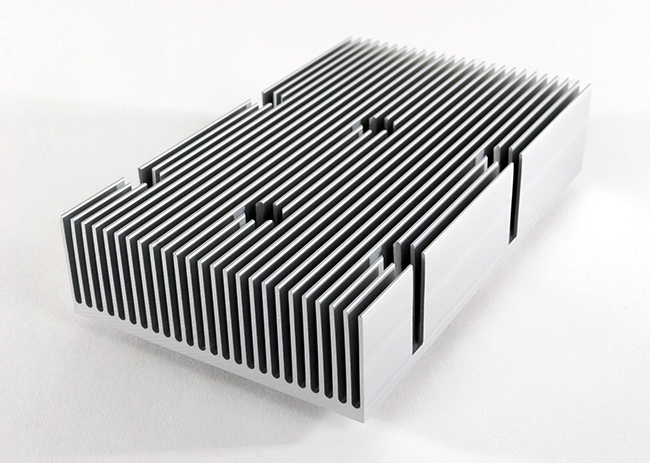 For one of our clients, we have developed a custom designed heatsink with 12 heatpipes, more than 15000cm² of surface area and a total weight of over 8kg, which provides an 18% improvement in C°/W performance over the original solution.